It’s a big weekend aboard RooBinEsque! Ivy and her girls are out and about in bookstores everywhere, including Big W, and all online e-book retailers. It’s always a special thrill to see it lined up on a shelf amongst books I love and authors who are friends. I’m grateful to all the readers who’ve waited so patiently for this story, but as we all know life doesn’t run smoothly all the time. It’s a story about women finding the courage to stand up, stand tall. At a time when the #metoo movement continues to gather momentum it’s important that our stories reflect the strength of women. I’ve grown up with courageous women. Aviation wasn’t always an easy world yet I watched my female colleagues succeed and grow with each success. My sister is providing enormous inspiration as she works with a charity helping refugees in the UK. My mother and mother-in-law were both women who stood up for what they believed in – albeit in very different ways. RETURN TO ROSEGLEN is dedicated to both those women as the matriarchs in my world. The story also shines a light on the issue of elder abuse. It’s not something new in our society – Shakespeare’s brutal play, KING LEAR, is all about elder abuse – but it’s an issue that’s only just starting to be acknowledged. Our elderly are just as vulnerable as our young, but recognising their needs can be difficult in the midst of a busy life. It’s not always easy either to admit that we’ve become the adult in the relationship and the love that is required from us is very different to everything that’s gone before. I owe a huge thank you to Ali Watts and her team at Penguin Books Australia along with Clare Forster, my agent at Curtis Brown Australia, for believing in Ivy and her girls. It was a leap of faith to allow me to change direction and to have a 93 year old matriarch as one of the main characters. I do hope readers take Ivy to their hearts. Buy Links are on RETURN TO ROSEGLEN’S own page. Click here. And a big thank you to Gabrielle for this insight into Ivy. Blog #metoo, Australian Author, Australian stories, Books, Elder Abuse, Family Drama, Family Saga, Outback Mystery, Penguin Australia, Reading, Return to Roseglen, Roo-Bin-Esque, Rural Saga, women, Women's fiction. permalink. 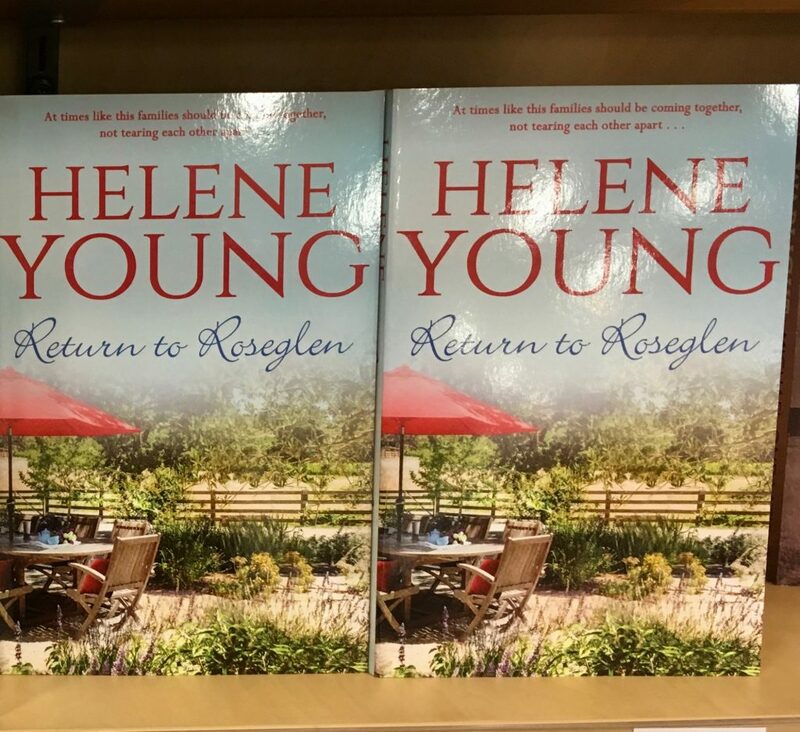 Hi Helene, I have just finished reading Return to Roseglen and absolutely loved it! I read it in a day as I couldn’t put it down. Thank you so much! Oh that’s wonderful, Kathy, I’m so glad you enjoyed it and thank you for taking the time to let me know.